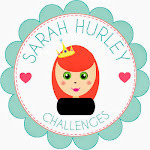 Sarah Hurley 365 (Formerly Sarah Hurley Challenges): A Year in Review! Today it's my turn to review the year and what a massive year of change it's been again for Team Hurley but once again my wonderful team have adapted to every new challenge and consistently produced wonderful projects and inspiration for this blog and for our Lookbook, still going strong and notching up thousands of readers every month! I thought today I would round up my favourite posts of the year - a great starting point if you're new to this blog! Firstly, the year rounds up from Clare and Jaine have been marvellous, I've really enjoyed reading how they have changed and grown over the year, amazing work from both of them this year and they both have incredible things lined up for the new year - I can't wait to share them with you!! Both Carol and Nicole made great use of their Silhouette machines this year and shared some fabulous projects with us, these were my favourites though. Claire and Ria made great use of stamps and embellishments in these projects. We also welcomed Susie in December who has joined us through our month of December inspiration and I'm looking forward to seeing more of her work in the new year. Finally, after a month of inspiration for documenting our Decembers, my girls have come up with a fabulous calendar project for the new year, you can see the start of it here and I'll be back with a free download and some more information later this week so you can play along with them all year long! Thank you for being part of our 2014 and we look forward to bringing you even more in 2015! It's been a wonderful 2014 and I'm so looking forward to all the new projects in 2015. It's been amazing, bring on 2015!! !